Clean 9 (C9) was designed as a super premium all-natural weight loss system using nothing but intensely pure, nutrient dense, chemical free. The concept of thr product is to take you to the best version of you. It is a weight management program that lasts for 9days and helps you shed weight in areas like your chest, tummy, thighs, arms and all over. Clean 9 works within 9days and you won’t need to continue if you are cool the amount of weight you lost. One would lose between 5-10kg with one pack in 9 days, and if you need to lose more(probably because you are too big or needs to get a slimmer and healthier you), you’ll need the continuation pack called F.I.T (F1) which lasts for 21 days. The very first step to a clean body and a weight loss program is to cleanse and support your digestive system. Clean 9 provides you with the necessary tools to cleanse your body and get you on the track of a slimmer you. There are many weight loss supplements on the market today as well as nutritional drinks and shakes so it is important to understand how our products works and why it is the most successful weight loss program people has ever had, losing both weight and inches(width circumference). All you need to take in the 9days is in 1 pack of C9. People give remarkable feedback after they have completed the Forever Clean 9 Pack, and usually jump to the next stage ( FIT 1 & 2) for a better result. Below are some of the feedback we usually get. – Being closer to their Optimal Weight! – Bowels Are Moving Again! – Skin is Clearing Up! – Energy is filled Up! – Having a greater sense of Inner Well Being! – Enjoying the Youthful Glow again! – 2 bottles of Aloe Vera Gel which detoxifies and aids digestive health. – Forever Lite Ultra Shake® – 1 pouch Vanilla ( Meal Replacement Shake) that curbs hunger and is a complete meal at just 90 calories. – Forever Garcinia Plus® – 54 soft gels that aids in the breakdown of the body fat and inhibits conversion of carbohydrates to fat. 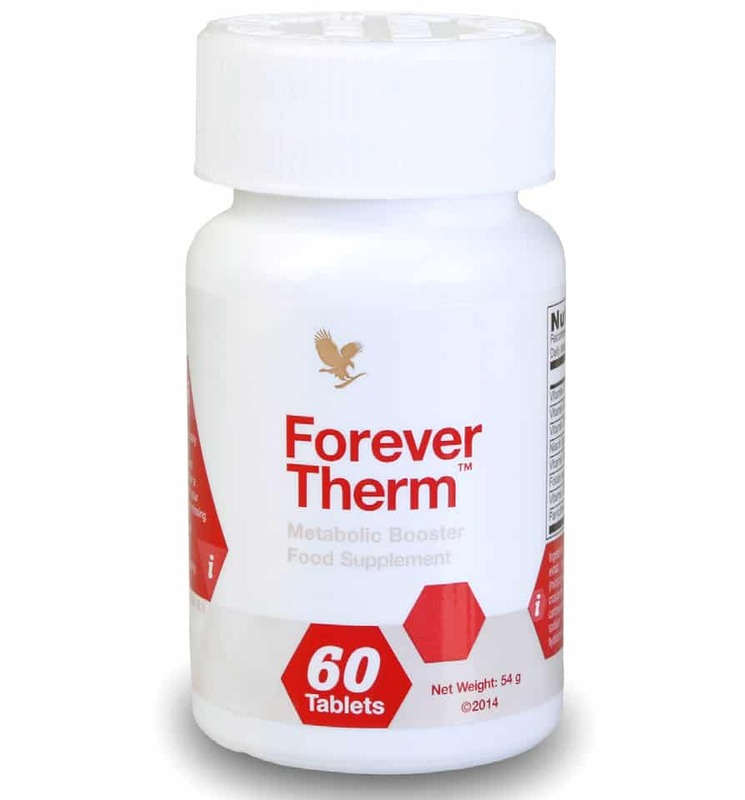 – Forever Therm™ – 18 tablets: help boost your energy levels and kick-start metabolism, helping you on your weight-loss adventure. – A booklet that gives guidance on how to do the 9days program. Aloe Vera Gel Has been found to have some amazing effects on the body because of all the nutrients it contains. Drinking aloe Vera gel is the closest instance to drinking the best therapeutic raw Aloe Vera gel. It helps to cleanse the digestive system and ensure better nutrient absorption. It also improves circulation, Improves metabolic disorders, It is an adaptagen (it adapts to the body and what the body needs). Forever used only the gel from inside of the leaf which is important to know, as some products are made using the whole leaf, unlike every other products, the FOREVER ALOE VERA GEL is made with only the gel in the Aloe Vera. Every section of the small intestine absorbs a different nutrient but from eating a diet high in processed food, nutrients are often blocked from being absorbed and whatever part of the intestine is blocked, you will be deficient in that nutrient. Aloe Vera gel gently cleanses and unblocks the villi where absorption takes place.This means that your body will again be able to make use of all the nutrients coming from the foods eaten. Aloe Vera is a natural source of vitamins contains a large range of vitamins, many which cannot be stored by the body and which need to be topped up from the food we eat. The amount of nutrients contained in the aloe Vera gel will ensure you have everything your body requires to function at 100%. Drinking a large amount of aloe Vera during the first 2 days of the Clean 9 program ensures that your digestive system is cleansed, and your body can absorb the nutrients it takes in, the toxins in your body are eliminated and your body is in great shape, particularly to lose weight, as it can be difficult to lose weight if toxins surround your fat cells. Forever Therm™ is a powerful, supportive formula to help boost your energy levels and kick- start metabolism, helping you on your weight- loss journey. is taken twice a day after your Aloe gel at Breakfast and Lunch time, and helps to boost your energy levels and kick start your metabolism. It takes on the role that the Bee Pollen tablets used to do in the old Clean 9.
ur energy levels and kick- start metabolism, helping you on your weight- loss journey. There are additional tools that can help support your endeavors. Forever Therm™ is designed to help accelerate your weight loss efforts so you see results faster and achieve your ultimate desired shape and weight loss goals. With a unique combination of botanical extracts and nutrients, Forever Therm™ can help boost your metabolism, to maximize your efforts. Garcinia Plus: This is a natural appetite suppressant derived from Garcinia Cambogia which contains a number of ingredients that may help with losing weight. be converted into fat but rather converted to energy) one’s mood also changes. HCA helps improve serotonin levels which naturally and safely improve your mood. Other side benefits of taking Garcinia include: improving fat metabolizing, encouraging the development of lean muscle mass rather than new fat cell storage’s, and minimizing stress-triggered cravings. During normal metabolism of a meal, the body utilizes calories from the carbohydrates consumed for energy. It also stores some in the muscles as glycogen for more energy . If there is even more calories at this point, what normally happens is that the body converts these calories to fat in the liver so there is a store for another time. Garcinia essentially stops the ennzyme which carries out this process from working and when this happens, the body turns to the fat it has already stored to burn calories which in turn helps with weight loss. Forever have combined the mineral chromium with their garcinia because it has many benefits not only associated with weight loss and many of us are deficient in this mineral since it is not commonly found in the modern diet. Chromium is a blood sugar balancer, evening out energy and food cravings. There are two other ingredients in Forever Garcinia Plus which are important for overall cardiovascular health and energizing the body quickly – these are healthy or fat-less fats, safflower oil and MCT (medium chain triglycerides). 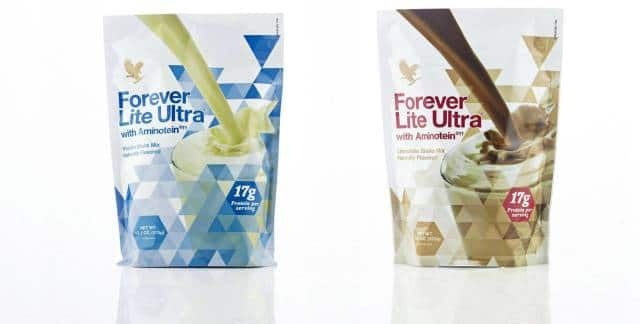 The Forever lite ultra shake with aminotein is a complete meal replacement product. It contains abundance of vitamins, amino acid and fibres. It also contains powerful antioxidants such as beta carotene and vitamin E. It is a natural source of protein and very good for your low-carb lifestyle. The forever lite ultra shake with aminotein is a high protein meal replacement shake. It is made from soy protein and has some advantages over using a combination of both whey protein and soy. 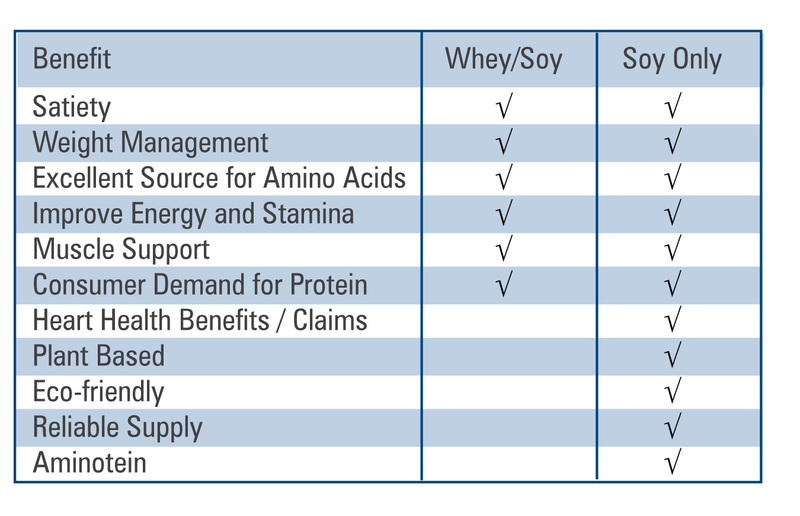 Not only is it soy protein but soy isolate which contains all the essential amino acids your body needs. It is low in fat and saturated fat and 1 shake provides 50% of the recommended daily allowance of vitamins and minerals. One Forever Lite ultra Shake provides 17 g of soy isolate protein. People drink protein shakes for many reasons, people like sportsmen, body builders, vegetarians and people who are on the go but want to ensure they are getting proper nutrition and the reason they drink them is to get more protein. The most important thing to remember about any protein is how much is actually available to the body, can it be absorbed? Protein, especially high quantities of protein can be difficult to break down but Forever have included aminotein with their protein shakes to ensure the body can fully utilize the protein taken in. Aminotein is a patented enzyme system – it is a unique blend of enzymes designed specifically to work on the protein, breaking it down fast into amino acids that will be absorbed completely by the body. 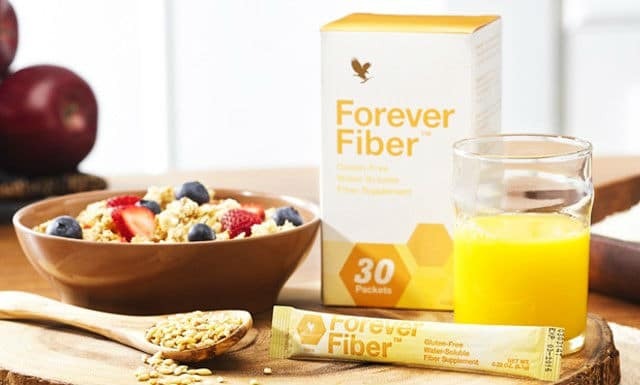 Fiber has been shown to support cardiovascular unction and, of course, because scientists now recognize that up to 70% or 80% of immune function in the body is associated with the gastrointestinal tract, fiber may help to support the immune system via its benefits for digestive function. Adequate soluble fiber intake can facilitate removal of waste products from the body and may help to relieve occasional constipation. Mix one stick of Forever Fiber™ with either water, Forever Aloe Vera Gel®, or other beverage daily. For best results, pour contents of one packet into a glass, add your beverage of choice and mix thoroughly. You can also sprinkle on food. 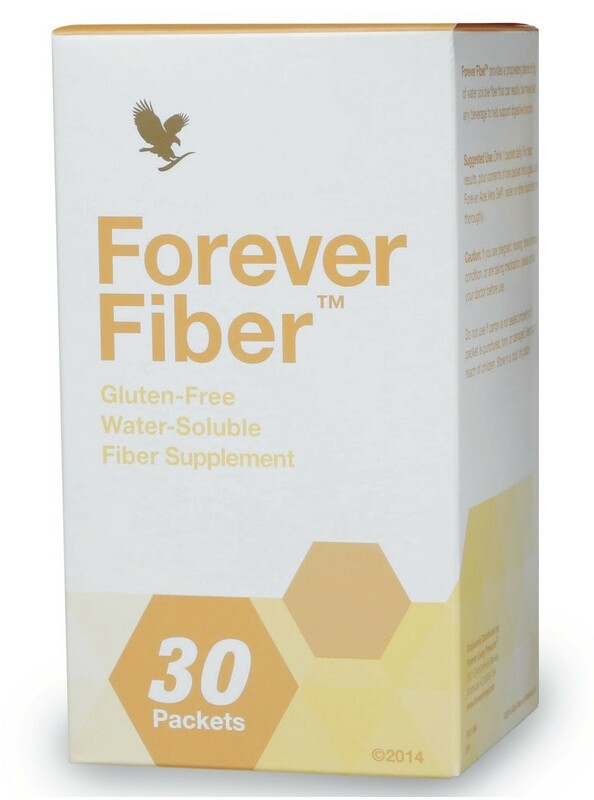 It is suggested to take Forever Fiber™ at least 30 minutes away from other dietary supplements as fiber may impact their absorption in the body. All the above listed products are found in the clean 9 pack to ensure you have a fantastic start for your weight loss and the best version of you. If you desire to loose more than 20kg and above we hereby introduce you to our 30 days F.I.T 1 and F.I.T 2 Weight Loss Program which is a continuation of our Clean 9 Program.